Yet another winter storm to strike eastern parts of the country. This time areas further south will get into the action. From Missouri to New Jersey, several inched of snow are likely with frozen precipitation points further south. 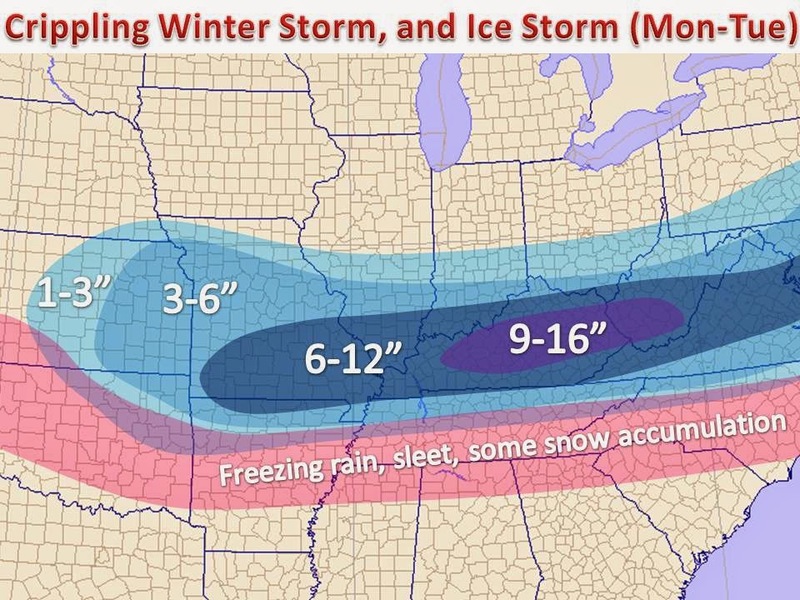 The heaviest snow looks to fall in Central and Eastern Kentucky, where over a foot of snow is likely in localized areas. Meanwhile from Arkansas to North Carolina, significant and dangerous freezing rain will set up, over a half inch of ice may fall over a wide area. Power outages will be a rule of thumb by Monday and Tuesday. 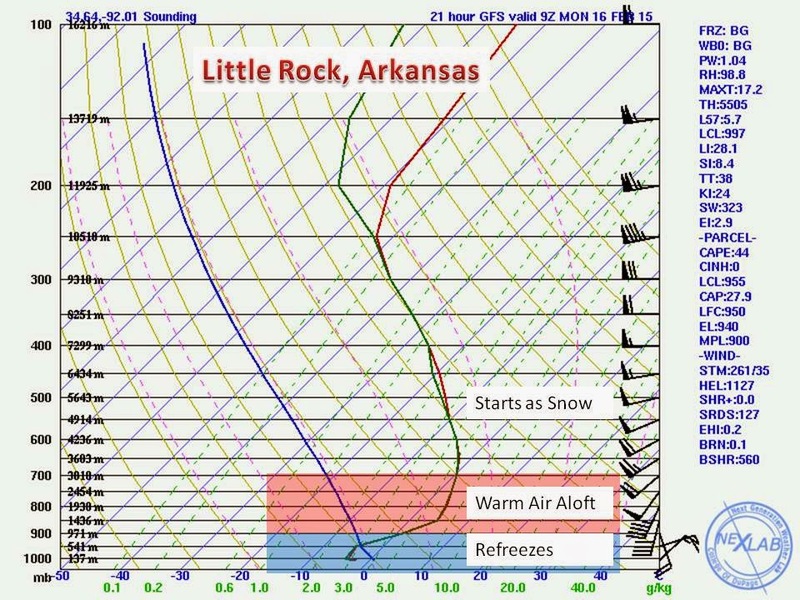 Here is a forecast sounding off the American GFS model for an area just south of Little Rock Arkansas. This is a textbook example of a freezing rain sounding. The precipitation begins as snow above 700mb, it then hits 700-900mb up into the atmosphere, where temps are above freezing, so it melts. Once the precipitation hits 900mb it will then begin to refreeze on contact, as ground temperatures are forecasted to be in the middle half of the 20s! This could be a dangerous situation and a news worthy freezing rain event as the work week begins. Even if you miss out on the direct impacts of the cyclone, cold air will fill the eastern half of the country by Wednesday and Thursday. 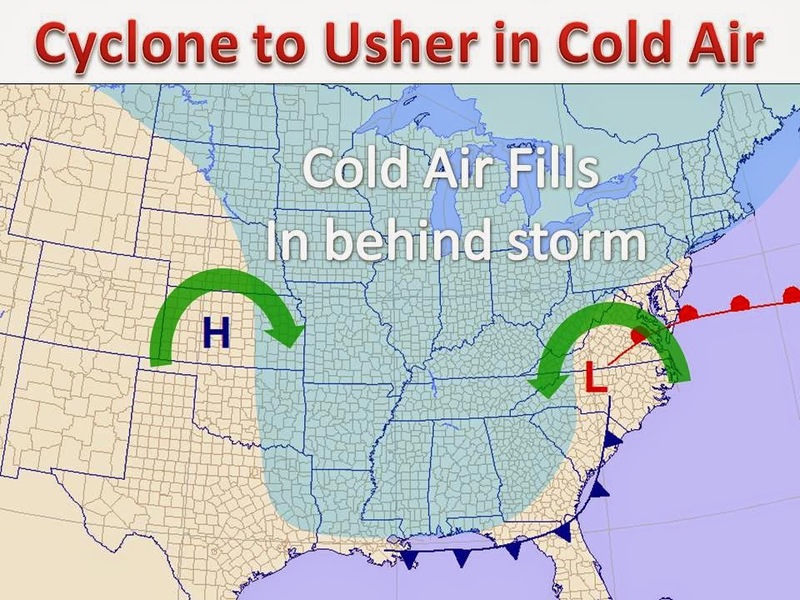 It will be even colder than it has been this weekend, as another piece of the polar vortex drops south, thanks to an expansive ridge in the west and cyclone energy in the east. Wind chill warnings and advisories will certainly be issued by the NWS in the coming days. 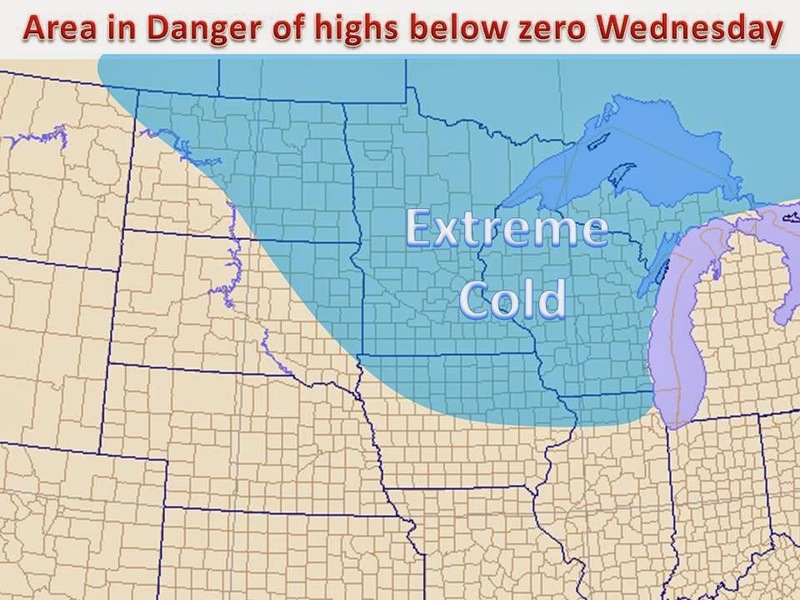 We have mapped out the area where high temperatures are in danger of not reaching zero on either Wednesday or Thursday, this would be over 36 hours of below zero weather. The pattern is going along with our Original Winter Forecast, so hopefully our projection of a relatively warmer start to spring holds true and the analog forecast years verify. Thanks for stopping by the page and be sure to 'like' our Facebook page for more content and updates, there is like box on the right panel for your convenience. Stay warm out there.